Border Checks Row & Thereas May. Google's new freshness update! Google continues, in its opinion, to improve it search algorithm on the basis of providing the best and most relevant content to its customers, the general search public. In most instances they are small and incremental improvements that no-one particularly gets excited about but its recent updates, Panda earlier in the year and a more recent one earlier this month given the name freshness update has generated some ire and criticism in the industry. So just what is the freshness update and what affect will it have? 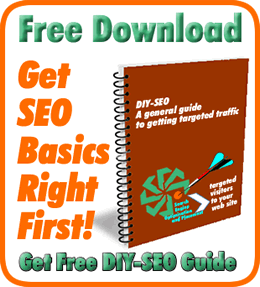 It essentially gives precedence and more prominence to new and fresh content. It seeks to identify the intent behind the searchers choice of keywords and return the most relevant serps. Depending on the keywords entered, events, hot topics or current breaking news, it will return a mix of results some of which may well be only minutes old. As an example there was yesterday some revelations in the UK surrounding immigration and border controls. 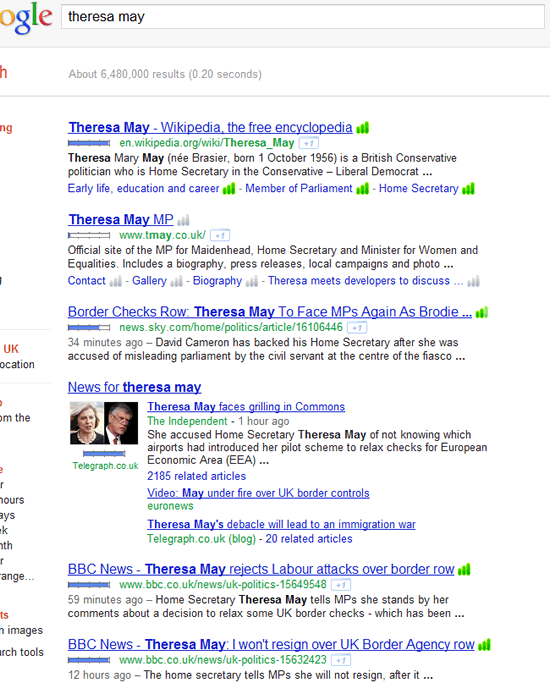 The UK Home Secretary is Theresa May, responsible for immigration and border control, and if a search for her name is performed today (see graphic) it not only returns some personal related content at the top, as one might expect, but the majority relates to the continuing political arguments surrounding her involvement and responsibility some of which is only 30 minutes old. Even if you don’t specify it in your search, the assumption is you probably want search results that are relevant and recent relating to your search. There is a fear that if companies and SEO’s focus primarily on freshness there will be a conflict between producing a large amount and quantity of content as against better quality but less volume. The old cliche that Content is King generally was meant to mean that good, informative, interesting and relevant content would pay dividends and in the long run it may but with the focus on and preponderance of new, fresh posts, pr, blogs and news items it might just be drowned out and pushed way down the serps. Time will tell! What do you think will happen? Will it balance out with a good mix or will we just see more content for content sake?